Each puppy receives their week 8 and 12 Distemper-Parvo combination vaccines, as well as their week 12 health exam prior to leaving for their new homes. This leaves their new family only in need to 2 additional veterinary visits, the first at 16-weeks for their final Distemper-Parvo puppy booster and their Rabies vaccine at 5-6 months of age. This collar is safe for wear in a kennel or when playing with other dogs and reduces the risk of collar entrapment and strangulation. Because we never want to hear one of puppies was lost to such a tragic and preventable situation, we provide this collar as your puppy's "everyday" collar for them to sport their various registration and identification tags. Click HERE for more information about collar entrapment hazards. Each puppy is also sent home with a "street" or "going out" collar. These martingale-style collars are a terrific choice for sighthounds, as it prevents them from backing out of their collar, while being quite stylish, too. These beautiful collars are custom made for us by Kay at Northwind Collars. 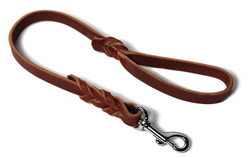 If you plan to lure course with your puppy, contact Kay to inquire about a lure coursing slip lead to match your puppy's collar. We custom-fit and send home each of our puppies with a medium (plus a large for our boyz to grow into) Gentle Leader Headcollar. The set includes a matching lead, as well as an instructional DVD and training booklet. 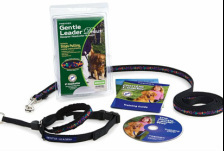 Click here for an informational video about the Gentle Leader Headcollar. 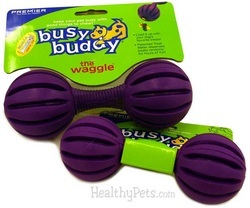 We also send home a selection of our favourite enrichment toys from Premier Pet Products. 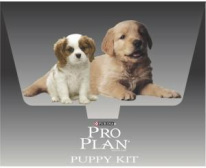 We are pleased to provide each puppy with a Purina Pro Plan Puppy Kit. This handy kit has coupons and great info, and includes two copies of your puppy's health records- one for your veterinarian & one for your records at home. Each puppy is sent home with Purina Pro Plan Puppy Formula food. We encourage our puppy families to continue to use Pro Plan for the life of their dog, but will happily offer alternative suggestions if needed. This is the first lead I reach for both for everyday use and for use in training class; it is my favorite lead and hope it will be yours, too. We send each puppy family home with a CD of their puppy's photos from birth through adoption, as well as an array of photos of the litter's dam and sire. To help ease the transition from our home to yours, we send each puppy home with a WildThangs Rabbit that's been played with by all the puppies of the litter, the dam, as well as other dogs in our home who have helped rear your puppy. This allows your puppy to take home these familiar scents to comfort them those first few nights in their new home. 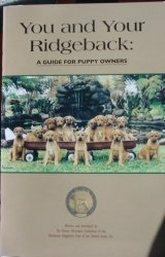 We are proud to provide each of our puppy families copies of both of these terrific, informational booklets from the Rhodesian Ridgeback Club of the United States, as well as an application for membership to RRCUS sponsored by both us and the sire's owner.